Twin Home Located on the Island (Park Point) Enjoy the personal feeling of your own home complete with 3 bedrooms, 3.5 baths, 2 (queen) convertible beds, kitchen, living room, dining room, double garage. Comes complete with kitchen appliances and all kitchen necessities, as well as a washer,dryer, TV. Relax in one of the bedrooms with a king bed and your own bathroom. With the option of 2 queen hideabeds located in the living room for additional sleeping. Ideal for large families, reunions, or a couples getaway. Located adjacent to Lakehead Boat Basin (Marina - RV parking) and only 3 blks from the Aerial Bridge and the great activity area of Canal Park. This property was built in 2011 just for the vacationer to enjoy their stay. This was perfect for our group of seven, with a cozy common space and all the amenities. We didn't have to think once about logistics and were able to just enjoy each other's company all weekend! A lovely place to stay. Perfect and quiet, would definitely stay again. I grew up near Duluth so knew I wanted to stay in the canal park area, and there were a few other essentials like a yard for the kids to play in the snow, a fireplace, decent kitchen with a dishwasher as we were staying over Christmas time, and covered parking all of which this has plus more. It was really quiet, beds are super comfy and the house is beautiful. We couldn’t hear the people staying on the other side at all. We had absolutely everything we needed and and the one time we asked for help with something Jodie came straight over after hours. I loved that the place is owned by a really friendly local family. Outside we could hear and see the lake during the winter storms which was really a highlight. There are loads of shops and restaurants within walking distance. We would definitely stay here again and would love to experience it during the summer time. Highly recommended. Thank you Diana for your great review. It was great to see you and your family enjoy your vacation. The snowmen that your family built in the yard are still standing but one head and one arm did fall off. Please keep us in mind for your next visit to the States. Second time around, girls weekend getaway! This was our second time staying at Island Twin Home. Perfect for a gathering of friends . Jodie and Joel are quick to respond and very conscientious. The communication with them about check -in details etc. was great. The garage is a nice extra not always available in a rental. Love the modern kitchen. Perfect for our girls weekend getaway. Walking distance to Canal Park is another plus. I liked the recipe cards tucked in by the cookbooks. Fun to bring home a recipe from “The Lake House”. After hiking 4 miles at Gooseberry Falls the comfy beds were really appreciated. We would definitely visit again. Great place for old friends to make new memories. Mary and friends. It was spacious, well laid out, comfortable, easy on the eye without clutter, lots of light, three large bedrooms with four baths, view of the Bay, everything provided - towels, paper towels, all sorts of storage bags, many condiments, large fridge and freezer. Beach to swim in 3 blocks away, Canal Park and places to eat 3 blocks the other way. No hassle in and out. Owners thoughtfully found an extra key for us. Two car garage available. Highly recommend. The Island Twin Home was a great place for our family and friends to stay while visiting Duluth for a wedding. They offer both sides of the house for rent separately, and we had the northern half, with the 2 kings + 2 twin + 2 sofa bed setup. 3.5 bathrooms made it easy for everyone to get ready in the mornings. I kinda wish we got some more friends in on the deal and rented out the other half, too! That would have been fun! 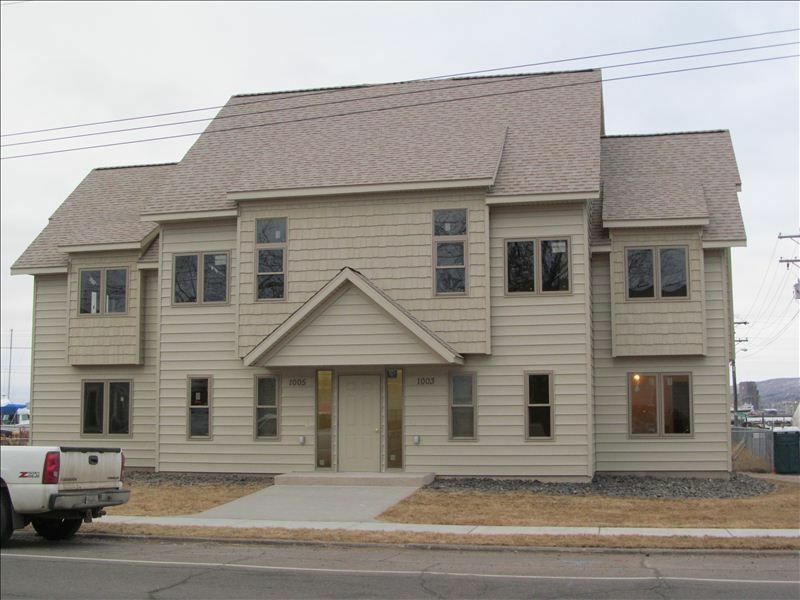 -Great location, walking distance to all the bars and restaurants in Canal Park. -The house was really big, and had plenty of space for all of us. The closets were almost big enough to be bedrooms themselves! -Everything was clean and new. -Downstairs (2 twin room) was a master bedroom with a jacuzzi tub! Upstairs also had one master bedroom that I claimed for myself (no jacuzzi tub, though). -Kitchen had all the basics, laundry room with detergent. -Wifi included and cable TV in all the rooms. -Attached 2 car garage was convenient. -Kids loved the harbor views with all the boats and ships going by. -Communication with the owners was good. They were responsive and clear via email. We didn't need to call them for any major issues. -Needs more blackout curtains. The sun rises too early during these Northern summers! Super bright at 5am, ugh! -One friend complained that the sofa bed was extremely uncomfortable, and slept on the floor instead (but our friend on the other sofa bed didn't complain - maybe it was just him, or maybe the one couch was somehow broken?). -I could not get the DVD player to work at all. -None of these were awful enough to detract from an overall great experience with the VRBO. While soap was provided for laundry, sinks, and dishes/dishwasher, no soap or shampoo for the showers, so bring your own! They did have an iron and ironing board, but I didn't see a hair dryer. A teapot in the kitchen might be a nice addition. If you search the web for "Island Twin Home," they have a website with a virtual tour of both units, which is what really helped to sell me on this rental versus a few other VRBOs. Also, since this is on an island, watch out for "getting bridged" when a ship is passing through the canal; you can get stuck waiting at the aerial lift bridge for around 15 minutes depending on how big/how many ships are going through. It happened to me 4 times in one day!! A group of UMD alumni (us) were looking for a place to meet up in Duluth. And we found it! We rented both townhouses for the weekend. Six couples in all. The place exceeded our expectations. Interior was beautifully decorated and immaculate. We kidded that when we retire, this is the type of place we liked to have. Canal Park was only a 10 minute walk. Outdoor chairs and a grill were available, which allowed us to grill and sit around in the backyard and reminisce. Lots of off-street parking. The owners were great to work with and responded promptly to my questions. Highly recommend it. Thank you for your review. Also thank you for treating our property with respect. We are glad you enjoyed your stay and you are welcome back anytime. We are located next to a Marina and New Fairfield Inn and Suites by Marriott with a convenience store. City only allows 7 person occupancy on the interim rentals. If rented for less than 3 nights additional charges may apply. Calendar may not reflect all reservations. Check in 3:00PM. Check out 11:00AM Please call or email for more information or if you have any questions.